Coventry United 3 Highgate United 5, 17/10/2017. Butts Park Arena, Birmingham Senior Cup. 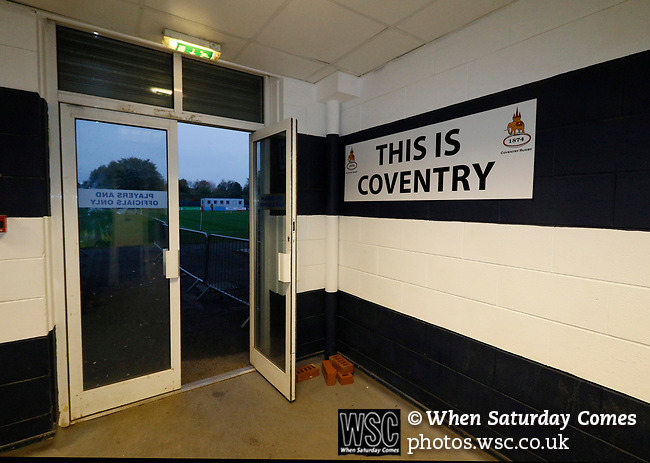 This is Coventry sign at the players entrance at Butts Park Arena. Photo by Paul Thompson.